Provides one half-year credit in economics and an optional one half-year of credit in English. 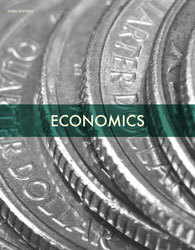 Take a guided tour through the world of economics. Learn to become a better steward of the money God provides. 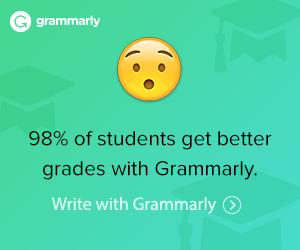 Available as a package with the Student Review Pack or as a set with only the text and readings. For your second-semester social studies course, why not try Notgrass Exploring Government! Provides an overview of the economic history of the United States for one half-year credit in economics with the option for one half-year of credit in English. Surveys Biblical teachings on money and finance—Learn to become a better steward of the money God provides. Gives a clear explanation of terms and concepts used in economics. Discusses economic issues confronting us today. Puts our participation in the national and world economies on a personal level. Reasserts the importance of the free market system. Enables students to take part in the economy with knowledge and faith. There are seventy-five lessons divided into fifteen units of five lessons each. 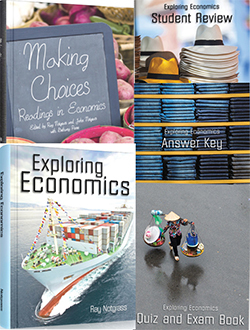 The Exploring Economics Curriculum Kit with Student Review Pack includes one of each of the following books. Supplements the lessons with readings from this collection of historic and modern documents, essays, and speeches. You can choose to add an optional half-year credit in English by reading these books and completing the writing assignments. These books should be available at your local library or on inter-library loan. ISBNs included to help you find them if you wish to purchase. 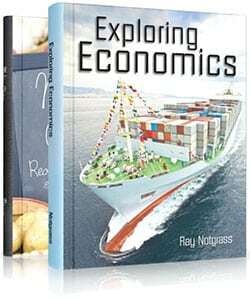 The Exploring Economics Set includes one of each of the following books.